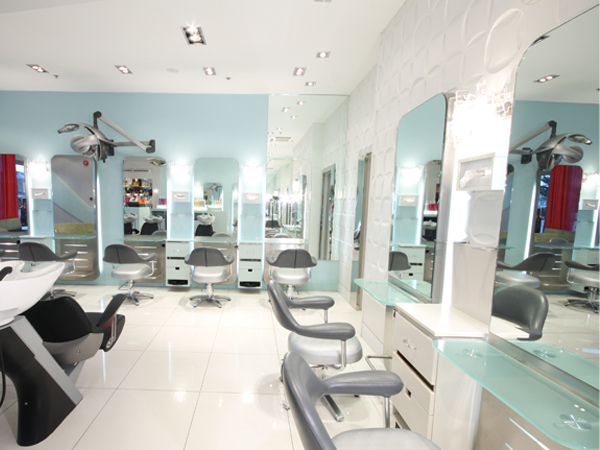 Peter Mark Forestside hair salon provides a new look with a clean fresh Miami inspired style. 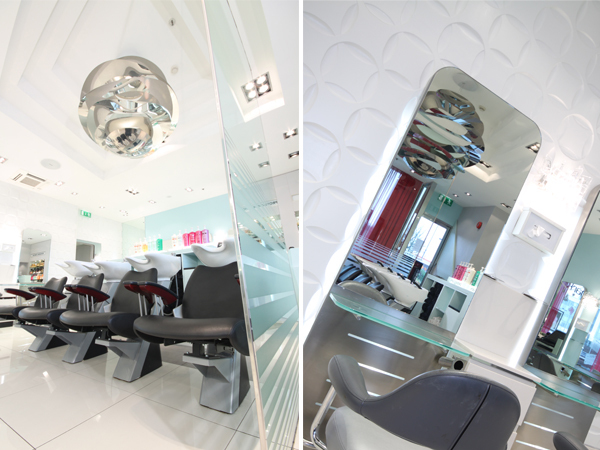 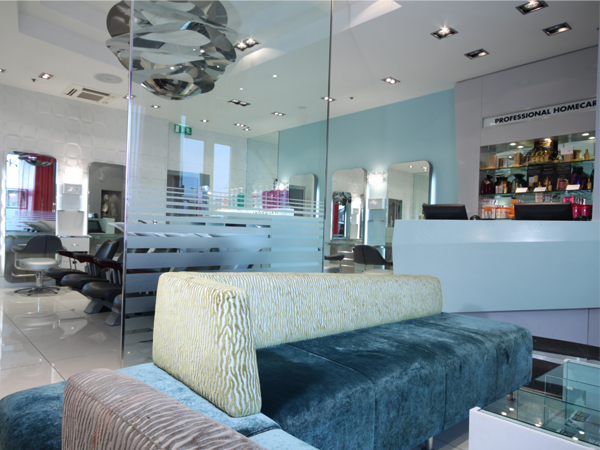 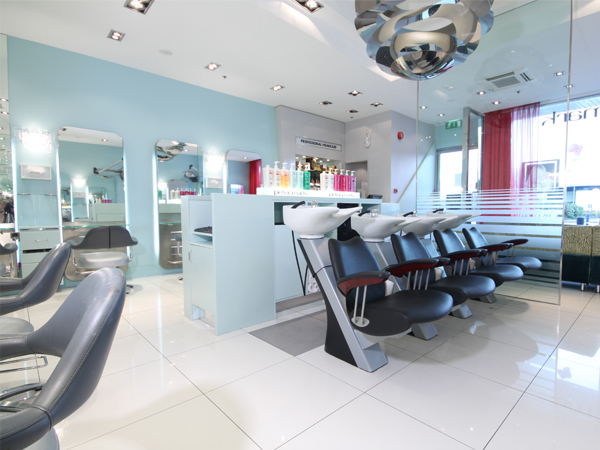 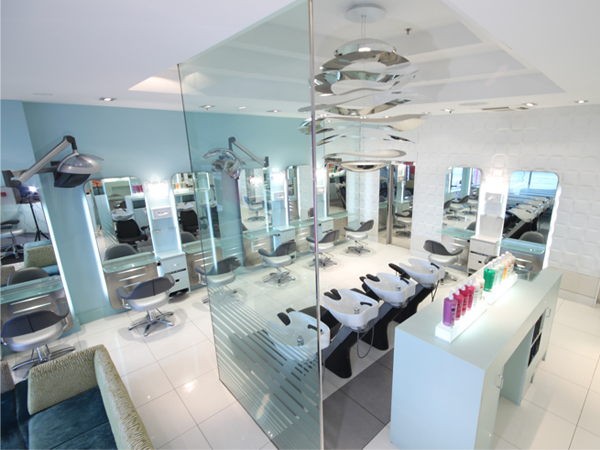 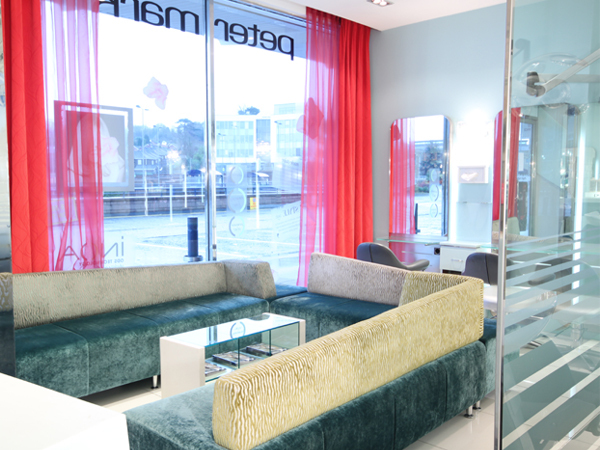 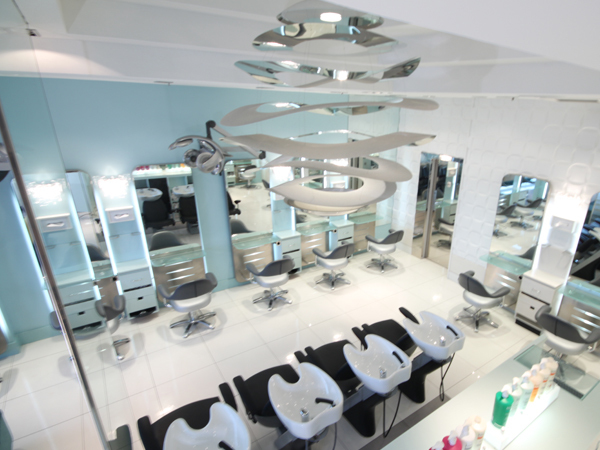 The salon is bright and airy with minimalist modern glamour details. 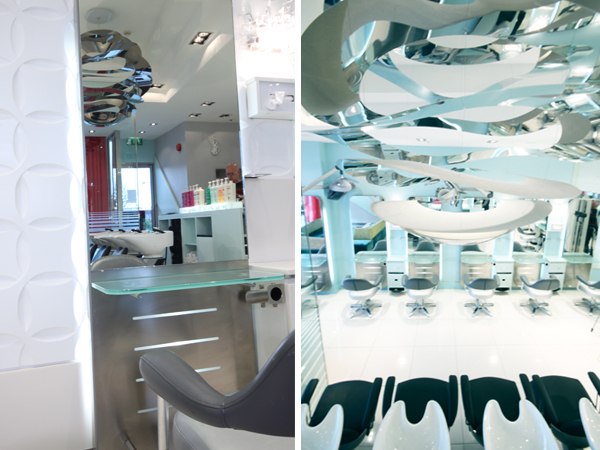 The design is quite clever with a back focal wall made out of white precast sculpted panels which gives the space a wonderful textural pattern. 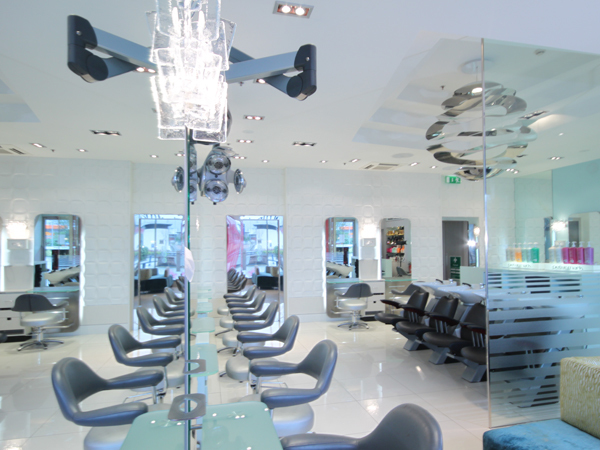 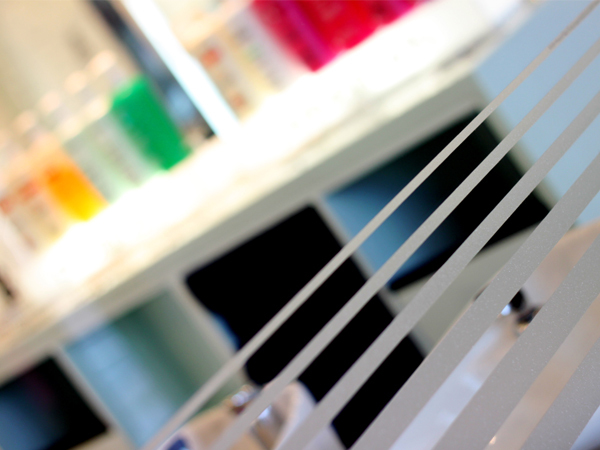 Sophisticated polished chrome details adorn the salon in the form of doors, moldings and trims. 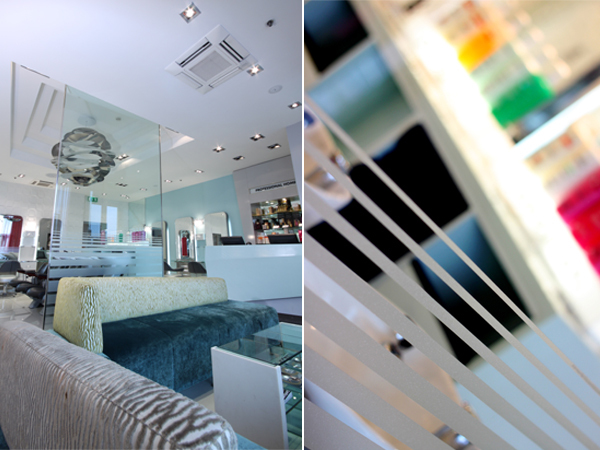 The space is offset with a soft dusty duck egg blue painted walls which give the feel of being near a tropical beach. 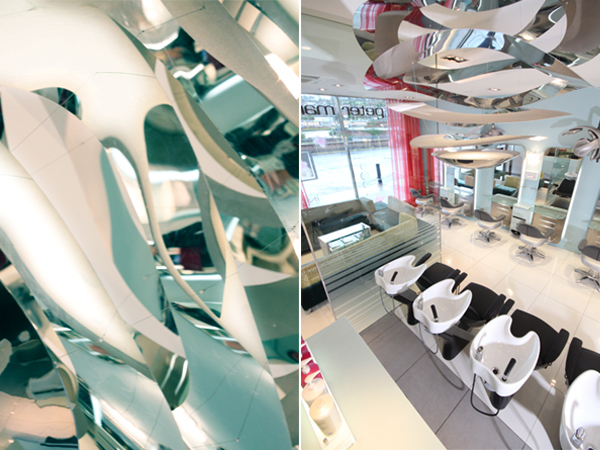 The center focal point of the room is a large chrome spherical chandelier with it wave like sections that appear to be floating within the space. 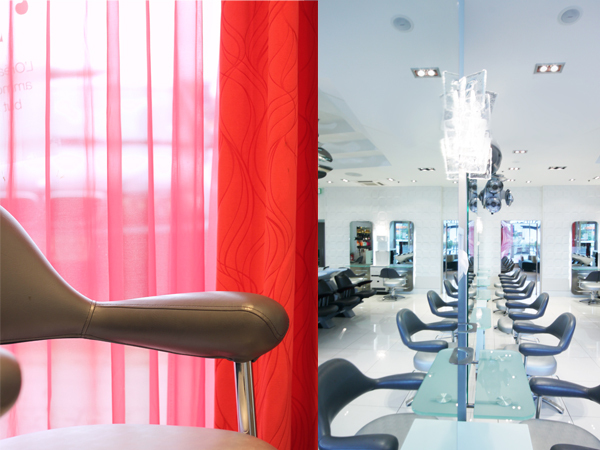 Luscious red velvet curtains fill the large glazed store front and that offsets the space with just the right amount of drama.